Part three of a series on building a game from scratch with Python. In the first article of this series, I explained how to use Python to create a simple, text-based dice game. In the second part, I showed you how to build a game from scratch, starting with creating the game's environment. But every game needs a player, and every player needs a playable character, so that's what we'll do next in the third part of the series. In Pygame, the icon or avatar that a player controls is called a sprite. If you don't have any graphics to use for a player sprite yet, create something for yourself using Krita or Inkscape. If you lack confidence in your artistic skills, you can also search OpenClipArt.org or OpenGameArt.org for something pre-generated. Then, if you didn't already do so in the previous article, create a directory called images alongside your Python project directory. Put the images you want to use in your game into the images folder. To make your game truly exciting, you ought to use an animated sprite for your hero. It means you have to draw more assets, but it makes a big difference. The most common animation is a walk cycle, a series of drawings that make it look like your sprite is walking. 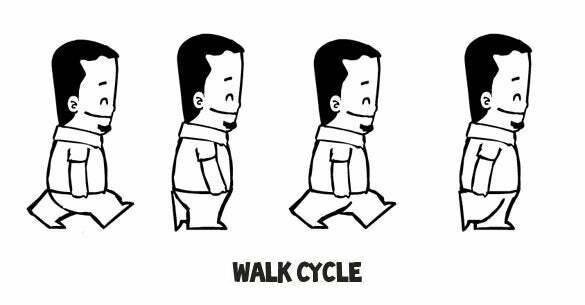 The quick and dirty version of a walk cycle requires four drawings. Note: The code samples in this article allow for both a static player sprite and an animated one. Name your player sprite hero.png. If you're creating an animated sprite, append a digit after the name, starting with hero1.png. In Python, when you create an object that you want to appear on screen, you create a class. If you have a walk cycle for your playable character, save each drawing as an individual file called hero1.png to hero4.png in the images folder. Use a loop to tell Python to cycle through each file. Now that a Player class exists, you must use it to spawn a player sprite in your game world. If you never call on the Player class, it never runs, and there will be no player. You can test this out by running your game now. The game will run just as well as it did at the end of the previous article, with the exact same results: an empty game world. Try launching your game to see what happens. Warning: it won't do what you expect. When you launch your project, the player sprite doesn't spawn. Actually, it spawns, but only for a millisecond. How do you fix something that only happens for a millisecond? You might recall from the previous article that you need to add something to the main loop. To make the player spawn for longer than a millisecond, tell Python to draw it once per loop. Launch your game now. Your player spawns! Depending on how you created your player sprite, it may have a colored block around it. What you are seeing is the space that ought to be occupied by an alpha channel. It's meant to be the "color" of invisibility, but Python doesn't know to make it invisible yet. What you are seeing, then, is the space within the bounding box (or "hit box," in modern gaming terms) around the sprite. You can tell Python what color to make invisible by setting an alpha channel and using RGB values. If you don't know the RGB values your drawing uses as alpha, open your drawing in Krita or Inkscape and fill the empty space around your drawing with a unique color, like #00ff00 (more or less a "greenscreen green"). Take note of the color's hex value (#00ff00, for greenscreen green) and use that in your Python script as the alpha channel. In this example code, 0,255,0 is used, which is the same value in RGB as #00ff00 is in hex. You can get all of these color values from a good graphics application like GIMP, Krita, or Inkscape. 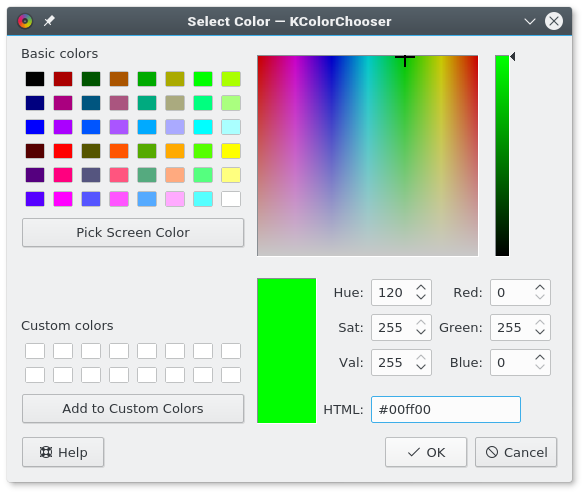 Alternately, you can also detect color values with a good system-wide color chooser, like KColorChooser. 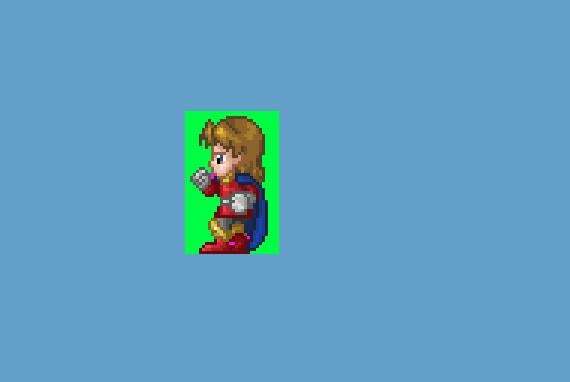 If your graphics application is rendering your sprite's background as some other value, adjust the values of your alpha variable as needed. No matter what you set your alpha value, it will be made "invisible." RGB values are very strict, so if you need to use 000 for alpha, but you need 000 for the black lines of your drawing, just change the lines of your drawing to 111, which is close enough to black that nobody but a computer can tell the difference. Launch your game to see the results. 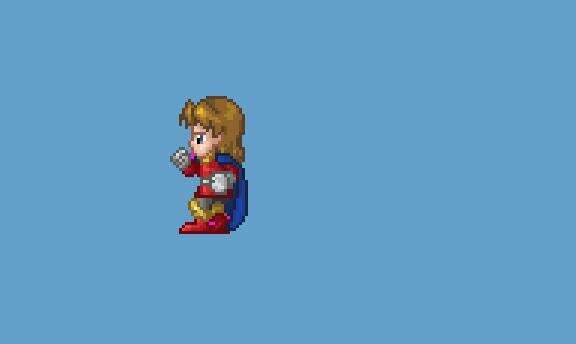 In the fourth part of this series, I'll show you how to make your sprite move. How exciting! 2. in the begin of the code you should put 'pygame.display.set_mode()', because otherwise you'll get an error. 3. You should replace 'screen' in the main loop with world, because that's how the screen is named. 'screen' is used as an argument by player_list.draw(). These are my remarks, though the rest of the program is very well done. I already learned some new/useful functions and attributes. The bugs can also be due to the operating system you're using or the version of python.